With the odd weather we had this weekend, I got to visit with both the dogs and the cats when I went to Orphans of the Storm®! 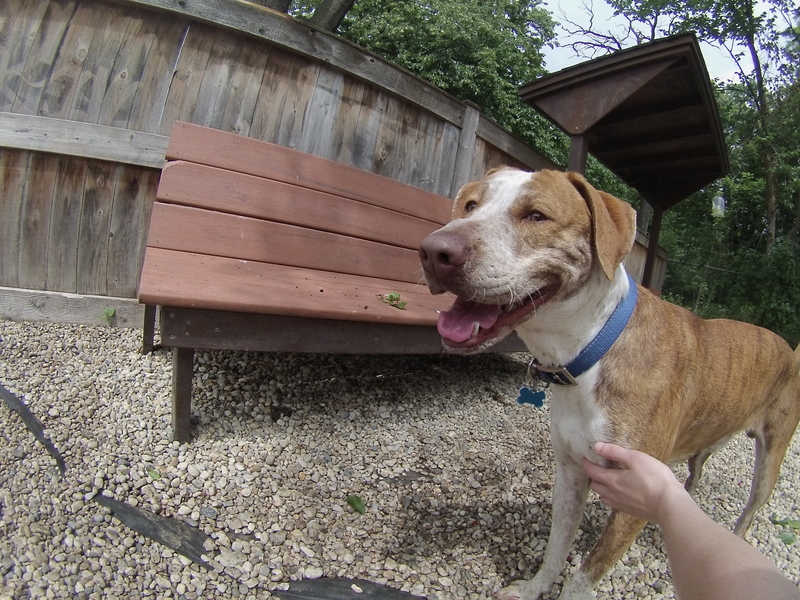 Tiger the two-year-old Pointer mix is a sweet, easy-going boy. Whether you’re taking long walks or relaxing on the couch, Tiger will be right there with you. I’m guessing Tiger got his name because of his handsome, unique markings and coloring. Tiger seems like he gets along with people and other dogs alike, based on the way he greeted the dog on the other side of the fence when we were in the off-leash run. Tiger was happy to get a chance to stretch his legs and did a couple exploratory laps around the off-leash run before he came back to me to enjoy some good scratches on the back and ears. 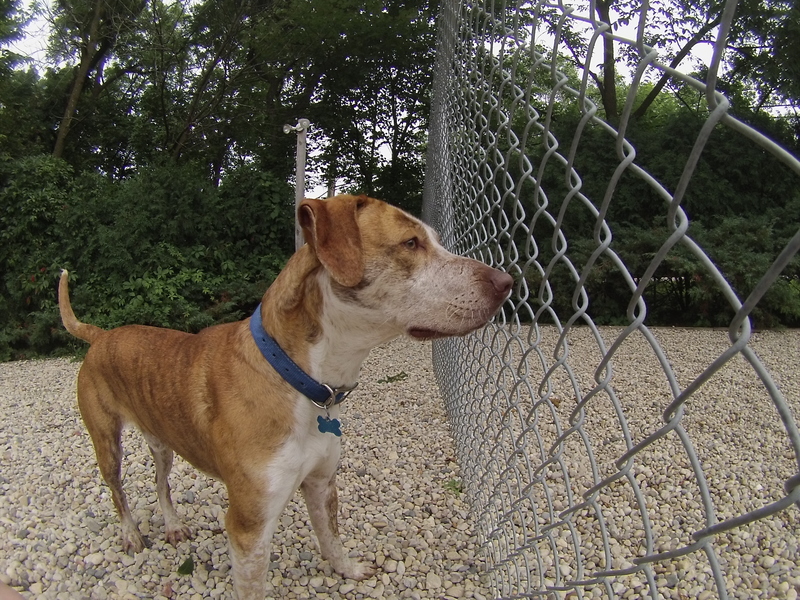 He’s a very alert and attentive boy and kept an eye on everything that was happening on the other side of the fence. 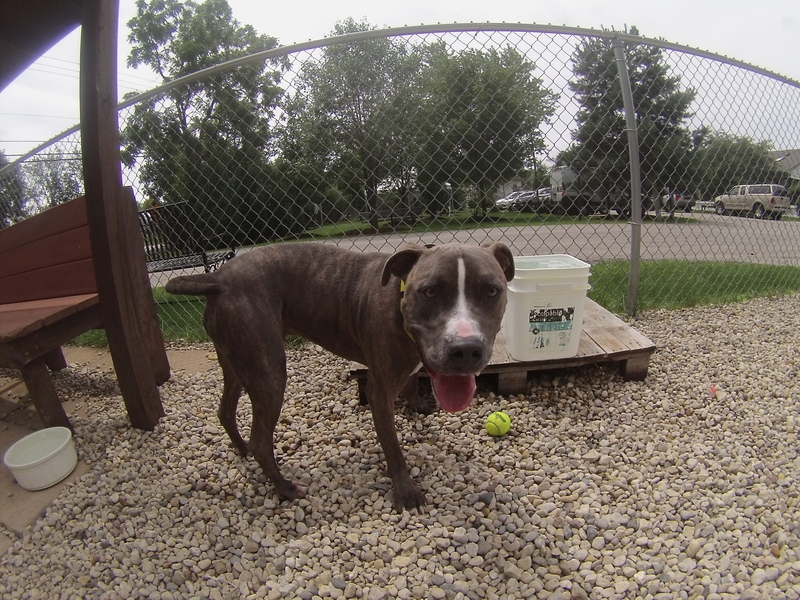 Tiger walks nicely on the leash and was super easy to put back in his kennel. 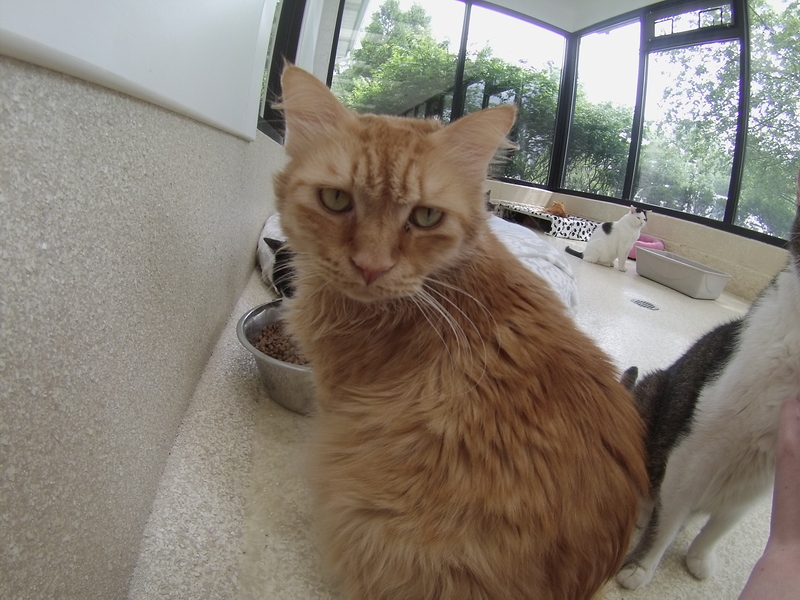 Stop by soon to say hi to Tiger! BooBear the one-year-old Hound mix is definitely still in her puppy phase. 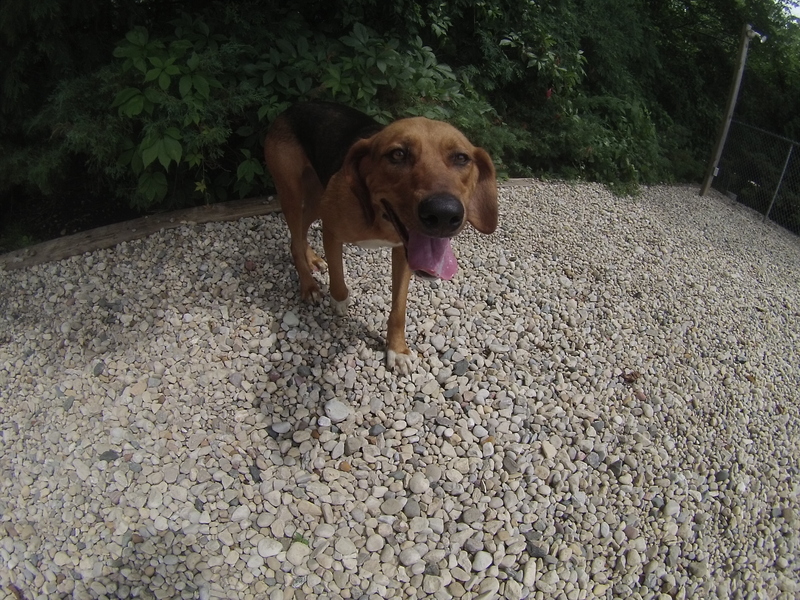 This big girl has plenty of playful energy and thinks everything can be made into a game. She was literally jumping up and down in her kennel when she realized it was her turn to go out, and was soon giving me doggy hugs and doggy kisses. 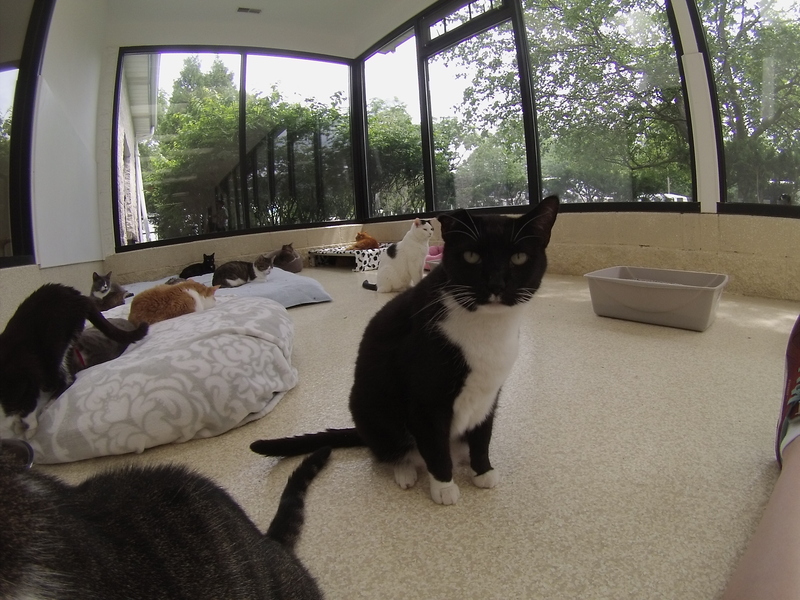 A big, fenced-in yard would make BooBear very happy in her new home. BooBear, being a Hound, disappeared underneath the bushes for a while so she could do some exploring and follow scent trails. But she was back soon enough, and was trying to convince me that my camera was a dog toy (we ended up playing with a tennis ball instead). BooBear was originally sharing her kennel with another dog who has since been adopted, so she could go to a home with or without another pooch. 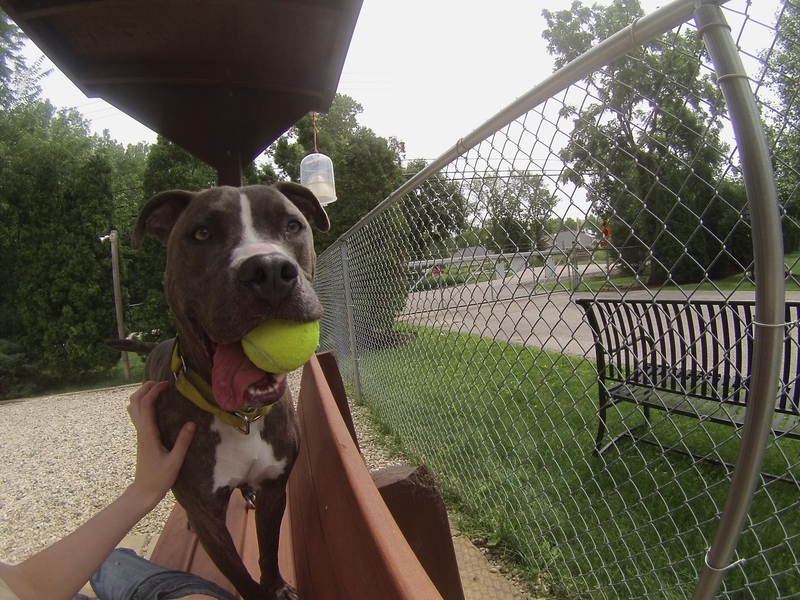 If you’re looking for a playful, affectionate pup, come in soon to meet BooBear! Roscoe the two-year-old Staffordshire Bull Terrier mix is such a good boy. Roscoe is at the shelter because his original family no longer had the time to take care of him–but they gave him the foundation he needs to be an excellent family pet. 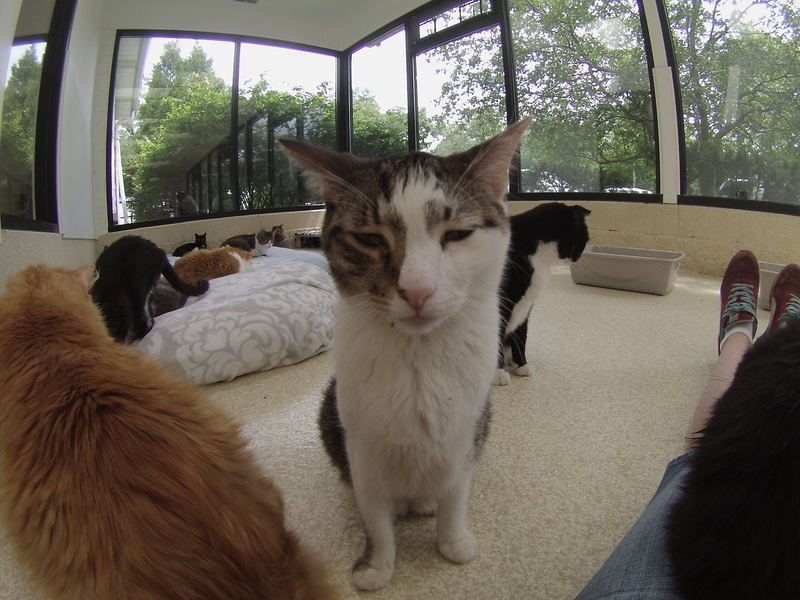 We know that he gets along with children and cats, and he walks nicely on the leash. He also loves to give doggy kisses. Roscoe’s favorite thing is tennis balls. He likes to play fetch, though it was a little too warm during my visit to really get a good game in. If he’s not fetching tennis balls, he’s either chewing them or just happily holding them in his mouth with his tongue sticking out the side. Roscoe joined me on the bench and tried to fit as much of himself on my lap as possible. His tail was wagging constantly. This sweet, happy boy is ready to go to a new, happy home! 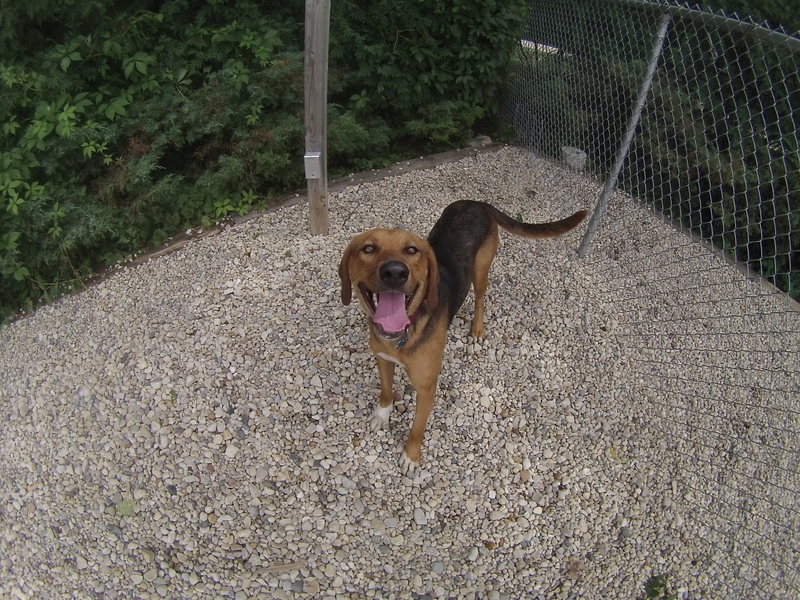 If you think Roscoe might be the one for you, come in soon to say hello! I also saw Bear, Blush, Jasmine, Lady, and Shamrock. And plenty of kitties! 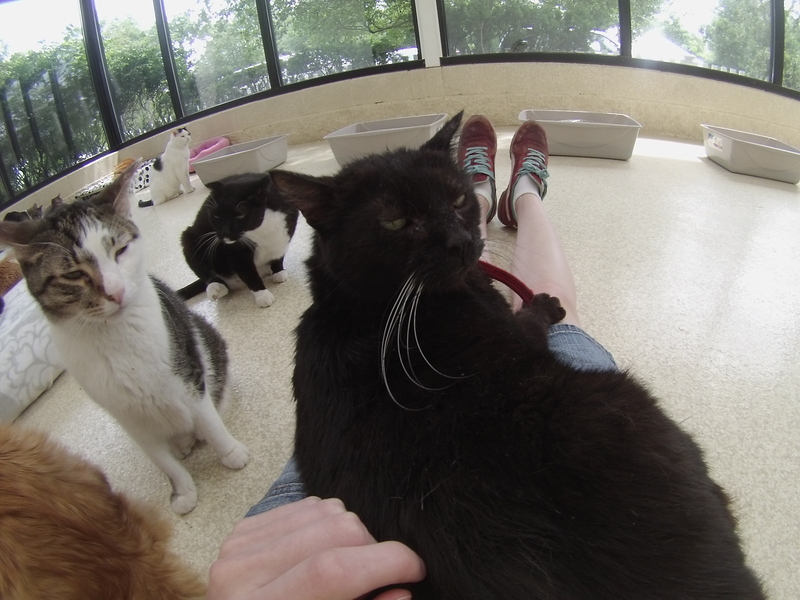 Since I don’t know the cats as well as I know the dogs, it was hard to tell how many were the same as the ones I had seen on my last visit to the cat room–but they’re always ready to snuggle, regardless! Whether you’re looking for a dog, a cat, or both, make Orphans of the Storm® your first stop! Posted by Meet the Pooches on July 23, 2015 in Cats, Dog Profiles and tagged adopt, adoption, animal shelter, animals, cats, Chicago, Deerfield, dogs, Hound, Orphans of the Storm, pets, Pointer, Riverwoods, Staffordshire Bull Terrier.